“In many other transplant experiments, injecting early progenitor cells resulted in masses of cells — tumors. This didn't happen in our case because the transplanted cells are pure and committed to a particular fate so that they do not generate anything else. We need to be sure we do not inject the seeds of cancer." What Zhang means by “pure and committed” cells is that the stem cells in his study are primed to be neural cells beforehand, raised only partly so that they have some direction as to their function but also have room to grow when they reach their destination. Zhang has already made significant advances in this field, so it was a perfect fit to use the same techniques with a new application. To test the efficacy of this approach, the research team began with mice whose brains were damaged in an area important to learning and memory called the medial septum. They then injected the cells into the hippocampus- which is connected to the medial septum by neurons. Like rewiring a broken circuit, the cells repaired the links between the two areas and restored memory and learning skills. For example, mice with the cells performed significantly better in the water maze test, in which they had to recall the location of a hidden platform in a pool. Obviously, the ramifications of the success of the study are profound and more than a little mind-boggling. 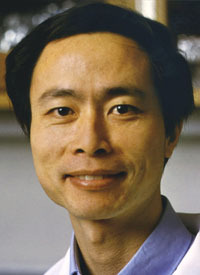 Zhang sees potential application in areas where certain types of neurons are involved, like Alzheimer’s disease, Down syndrome, schizophrenia, and epilepsy, but cautions that there are still limitations: “for many psychiatric disorders, you don't know which part of the brain has gone wrong.” So in many cases we’re still at the level where inserting cells won’t necessarily help. The groundwork is now laid out, though, and this study is certainly a large step toward fixing our own damaged or diseased brains. The University of Wisconsin, Madison currently ranks fourth in public universities in terms of research and development funding at $1.1 billion. To read more about the university’s research and funding, please see our University of Wisconsin funding report, below. Biotechnology Calendar, Inc. will be visiting the University of Wisconsin for two of our BioResearch Product Faire™ events this fall. We will be holding our Madison University Research Park BioResearch Product Faire™ on September 4th, 2013, and Madison BioResearch Product Faire™ the very next day. To reserve space at one of these Wisconsin events, use the buttons below; if you’re interested in attending a show closer to home, please look at our 2013 schedule.